Lady Rain works as a daytime stock trader and writes about crafts and hobbies. She likes travelling and making papercraft models. Steamed white radish cakes are served in most Chinese dim sum restaurants in Hong Kong. These soft and delicious appetizers are made from white radish or Japanese daikon. The ingredients are steamed and cooked in a steamer pot, and then pan fried to give them a crispy coating on the outside and soft and juicy inside. 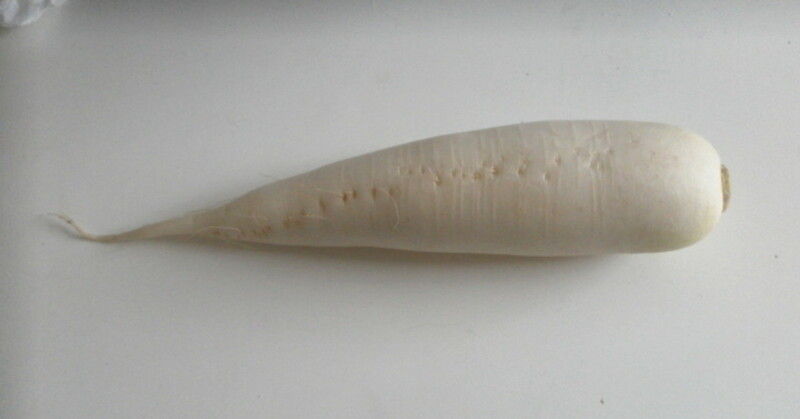 1.5 kg white radish or daikon, these are also known as long white icicles. Available from fresh produce markets. 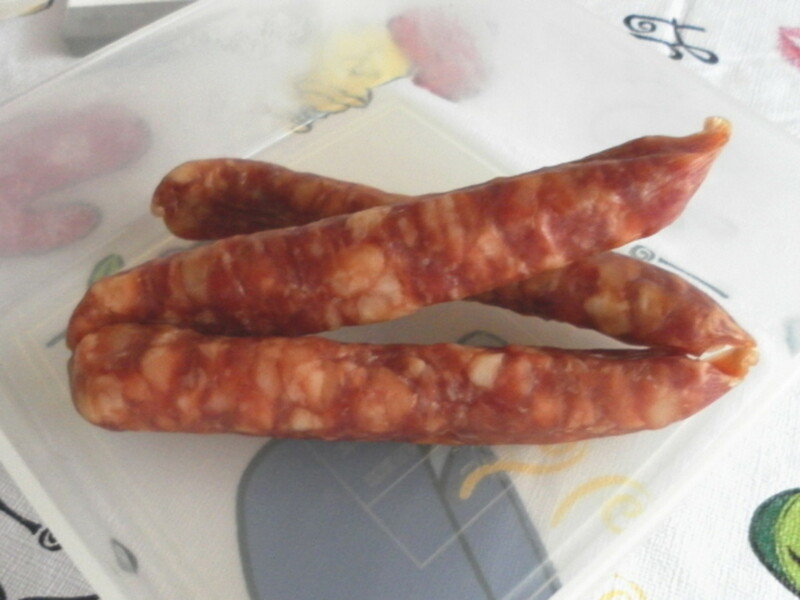 3 chinese sausages, available from Coles supermarket or Asian stores. 50 grams dried shrimps, washed and soaked. Wash, peel and grate all the white radishes. Put the grated radish into a wide frying pan and cook for about 15-20 minutes or until the juice from the radish has evaporated. Add in salt and pepper just before turning off heat. Set aside to cool and prepare the rest of the ingredients. 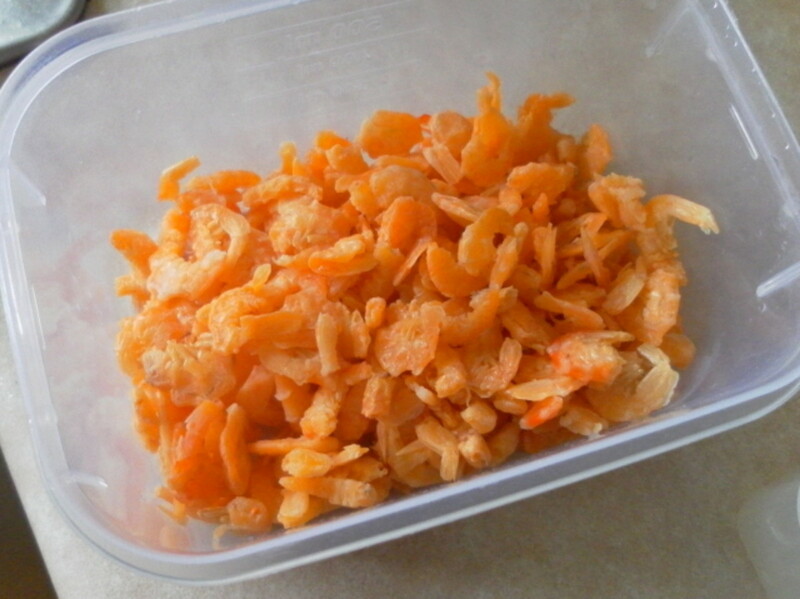 Cut up the Chinese sausages, shallots and dried shrimps into small pieces. Heat up one tablespoon of oil in a frying pan. Add in sausages, shallots, garlic and dried shrimps and fry until fragrant. Set aside. 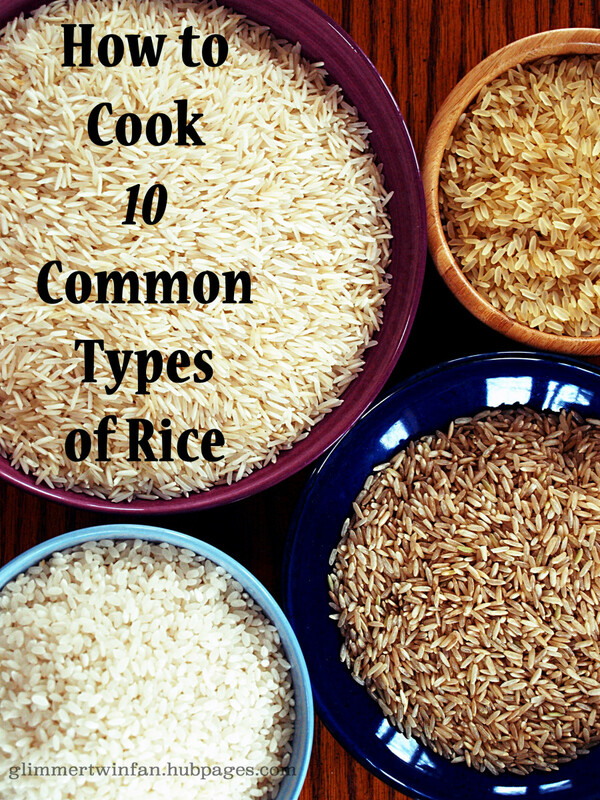 Pour rice flour into a big mixing bowl and add in water. Mix well until there are no lumps of flour in the mixture. An easy trick is to pass the mixture through a sieve. Add in cooled radish and the rest of the fried ingredients. Mix well. Divide the mixture into two portions and pour into two greased stainless steel containers. Add plenty of water into a steamer pot and bring the water to a boil before putting the radish in the steamer pot. Steam each container for 40-45 minutes on medium to high heat. Remove and set aside to cool before removing the radish cake from the container. Cut one of the radish cakes into 2 cm thick slices. Fry the slices on each side for a couple of minutes or until slightly brown. If you want them more crispy, fry until golden brown. Serve pan-fried radish cakes with tomato sauce, sweet sauce or chilly sauce. 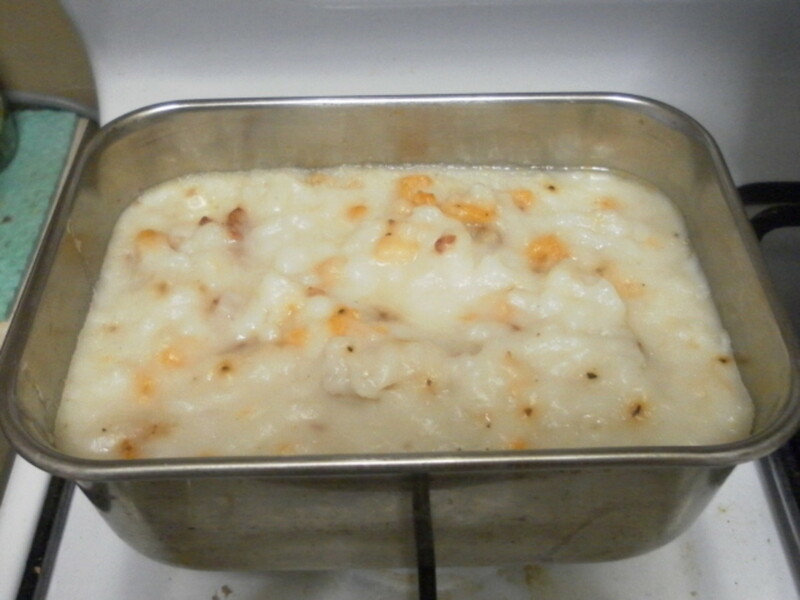 The radish cake in the other container can be stored in the fridge and consumed the following morning. Slice and pan fry as per previous instructions, and serve hot for breakfast! This recipe is one of the popular dishes most tourists will find at the hawker food stalls in Singapore. 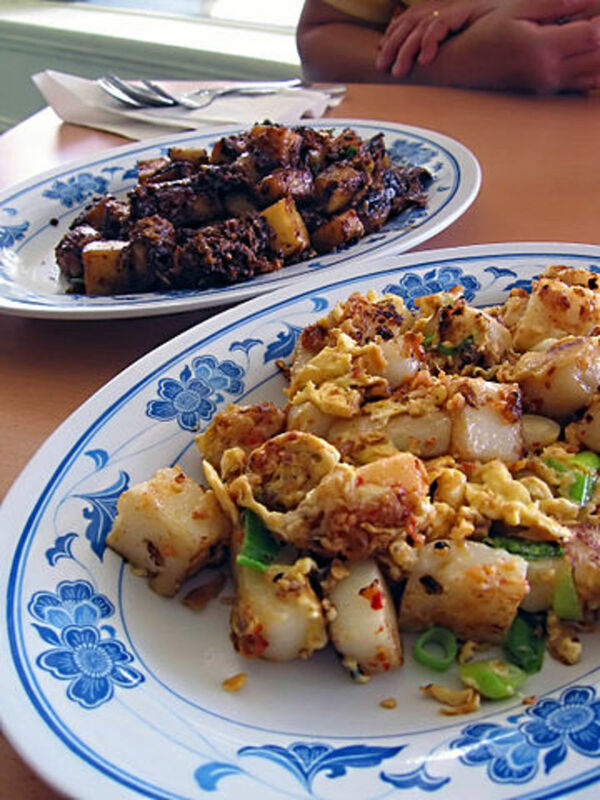 I call it Singapore Hawker Style Fried Radish Cake but in Singapore, the locals named this recipe "Fried Carrot Cake" even though carrots are never used as ingredients in this dish. 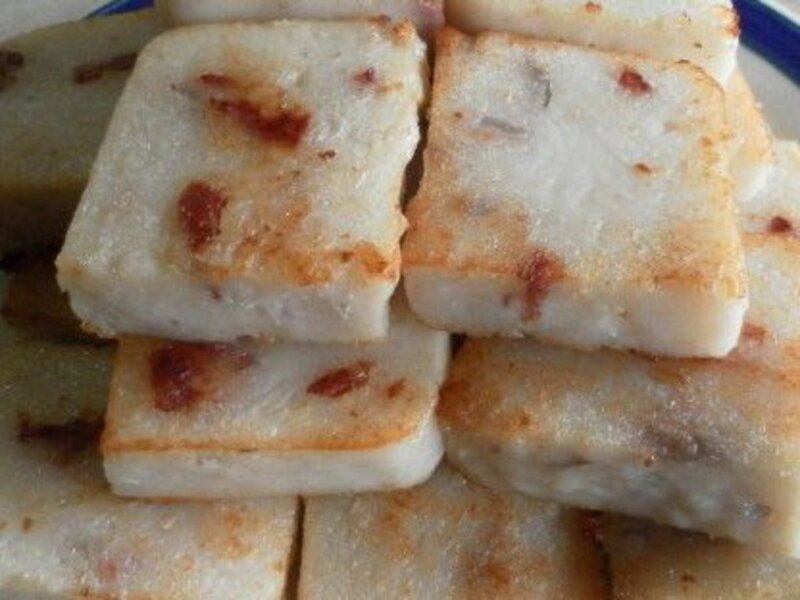 To make this Singapore fried radish cake, just follow the instructions above from steps 1 to 7 for preparing the steamed radish cake. 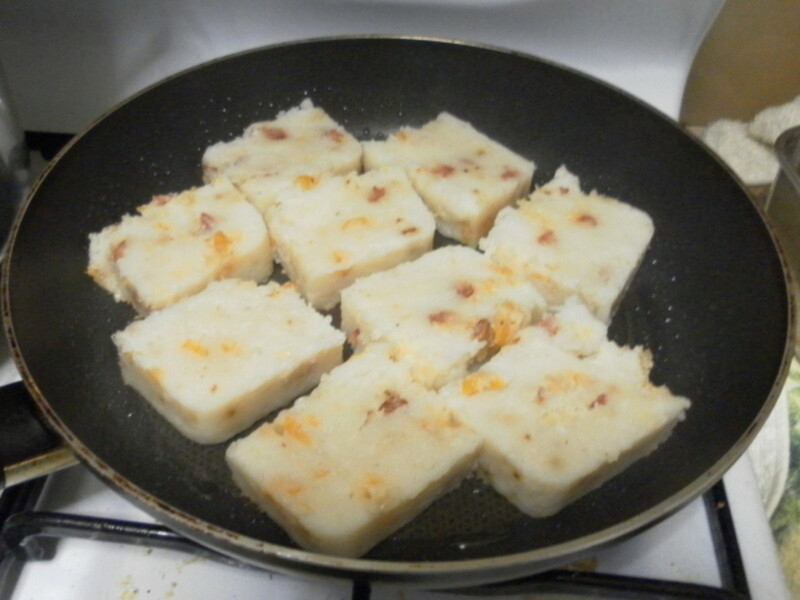 Then take about six slices of the radish cake and cut them into cubes. Heat up a tablespoon of oil in a frying pan. Add in a teaspoon of garlic and fry until fragrant. 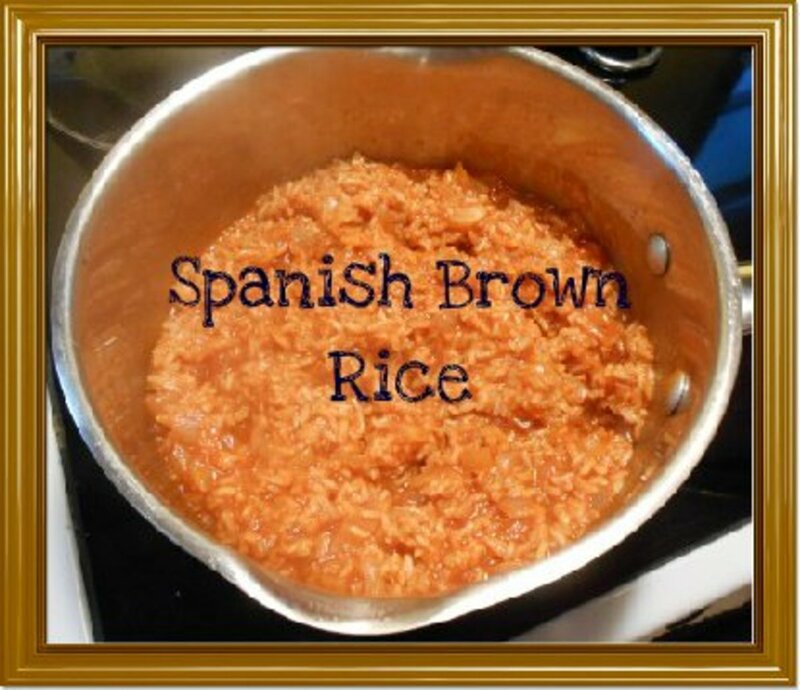 Mix in a generous handful of bean sprouts and cook for about half a minute. Add in the radish cake cubes and fry until slightly brown. Add in one tablespoon of dark soy sauce and a lightly beaten egg. Mix and fry until the egg is just cooked. Plate it up and garnish with chopped spring onions. Serve hot. So glad to find this recipe: very difficult to find good dim sum restaurants around my area! I will try it out right away! Magdaleine, if I am living in Hong Kong, I will hang out at the dim sum restaurant every day and eat radish cake, too! Finding good food is so convenient there! yummy... I often eat radish cake, but never make it myself. Thanks for the recipe! sarahshuihan, I make the radish cakes when the radish is in season. Not many dim sum restaurants here serve radish cakes when radish is not available. Thank you for your kind comment! yum! I used to love eating this when I went to dim sum with my family! I should make this for my husband some day! Thanks for writing this! 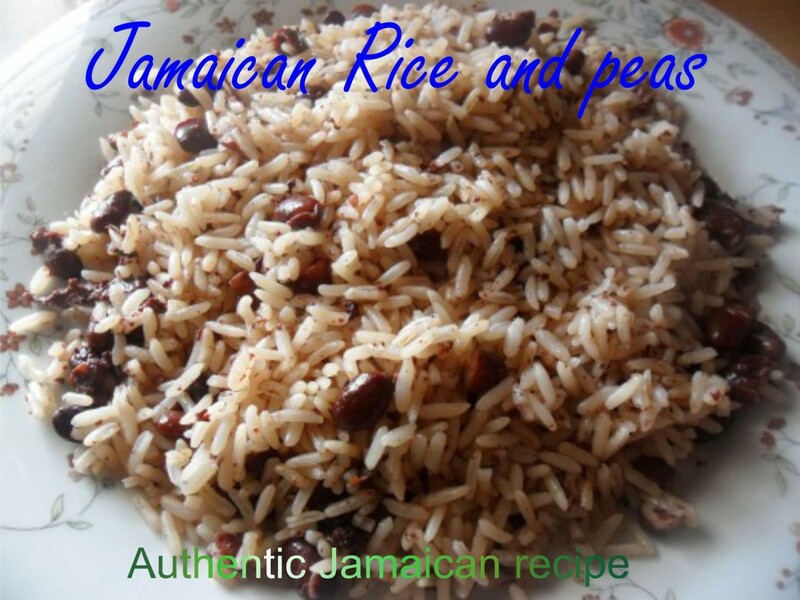 peachpurple, I am glad you like this recipe and I am sure your radish cake will turn out delicious too. Thank you for stopping by to leave comment. Boy! Am I glad to have followed you. You posted so many of my favorite food!!! I am going to make this Radish cake. Looks so delicious!! Thanks very very much! !